Black Inventors: Do You Know About Us? It’s the final week of Black History Month. Allow for this month to be a reminder that everyday is a day to celebrate our history. This week we decided to look at some of our forgotten and perhaps least know African American Inventors. 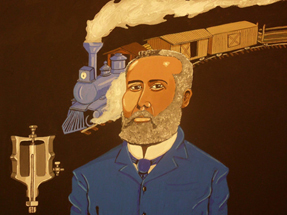 Elijah McCoy’s first invention was a lubricator for steam engines, which issued on July 12, 1872. He began experimenting with a cup that would regulate the flow of oil onto moving parts of industrial machines. His invention allowed machines to remain in motion to be oiled; his new oiling device revolutionized the industrial machine industry. McCoy was born in Colchester, Ontario, Canada on May 2, 1844, the son of former slaves who had fled from Kentucky before the U.S. Civil War. Educated in Scotland as a mechanical engineer, McCoy returned to the United States and settled in Detroit, Michigan. He established his own firm and was responsible for a total of 57 patents. His lubricating device became so popular that people inspecting new equipment would ask if the device contained the real McCoy. This helped popularize the American expression, meaning the real thing. His other inventions included an ironing board and lawn sprinkler. 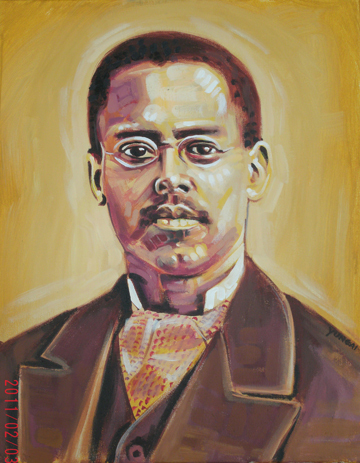 Lewis Latimer invented a method for producing a more durable carbon filament, making incandescent lighting practical and affordable for consumers. As a result, incandescent light bulbs became affordable to more consumers. Safer than gas lamps, and less harsh than arc lights, incandescent bulbs transformed the average American home after nightfall. Despite the societal roadblocks a Black man faced in the late nineteenth century, Latimer successfully oversaw the set up of electric lighting plants in the United States, Canada, and England. After leaving U.S. Electric Lighting, Latimer worked for Thomas Edison and became a patent investigator and expert witness for the Edison Electric Light Company. Latimer was born in Chelsea, Massachusetts, the son of former slaves. He enlisted in the Union Navy during the Civil War and was a lieutenant in the Massachusetts Volunteer Militia. Working as a self-taught draftsman after the war, Latimer made the drawings for Alexander Graham Bell’s first patent application for the telephone. He made his most important innovation in electric light technology while working for the United States Electric. Latimer was born September 4 1848 and died December 11 1928. 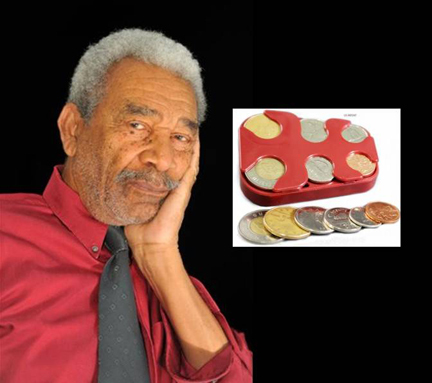 Marc B. Auguste Sr, is a Haitian born inventor, who was instrumental in the development and the prototyping of a multi-purpose portable coin-organizer. He shared intellectual property rights with his eldest son Marc Jr. and his daughter-in-law Jacqueline in 2006. The coin-organizer was intended to assist those who are visually impaired persons, but is being touted as a universally convenient mechanism for all. 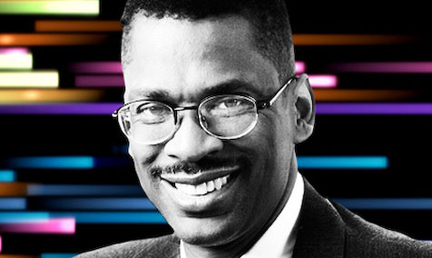 Lonnie G. Johnson is former Acting Chief of the Space Nuclear Power Safety Section at the Air Force Weapons Laboratory in Albuquerque, New Mexico. He also was Senior Systems Engineer at the NASA Jet Propulsion Laboratory in Pasadena, California, where he worked on the Galileo mission to Jupiter. But most people recognize the Tuskegee University alumnus’ most popular invention: the Super Soaker squirt gun. Just two years after inventing the toy it reportedly generated $200 million in sales. Johnson holds more than 80 patents, with over 20 more pending, and is the author of several publications on spacecraft power systems. Janet Emerson Bashen founded Bashen Corporation in 1994, at her dining room table with very little capital, one client and the will to succeed. In January 2006 she not only found success, she made history. Bahsen became the first African American female to hold a patent for a software invention. Bashen invented, LinkLine, which is a web-based application for EEO claims intake and tracking, claims management, document management and numerous reports. 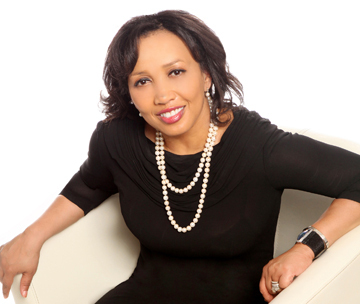 Her company remains focused on innovation and a dedication to building proactive EEO initiatives within organizations. 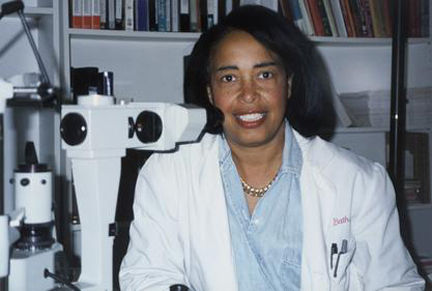 Dr. Patricia Bath is an internationally recognized ophthalmologist and surgeon who invented the laser-powered Laserphaco Probe. The invention allows physicians to vaporize cataracts in a matter of minutes. The Harlem born pioneer has dedicated her life to the treatment and prevention of blindness in African-Americans. She’s also managed to become a trailblazer in the process. Dr. Bath was the first female ophthalmologist at UCLA’s prestigious Jules Stein Eye Institute and the first female African American surgeon at the UCLA Medical Center. 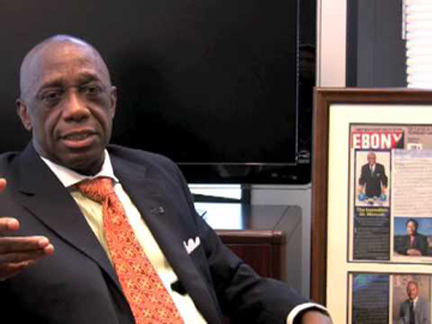 Dr. Thomas Mensah holds more than a dozen patents in the United States and abroad. One of them is for the Patriot missile guidance system. The native of Ghana is Chairman of Supercond Technology Inc. of Norcross, Georgia. His inventions cover fields including fiber optics and guided vehicle systems. His work with SMART weapons, like the Patriot missile, was considered crucial to the success in the Gulf War. 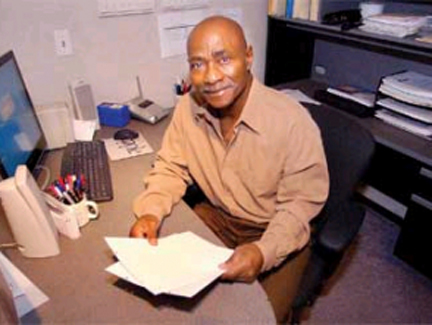 Dr. Mensah holds 7 pioneering inventions in Fiber Optics Technology and was the winner of the 2010 Percy Julian Award. Elijah Abron had a problem to solve. He wanted to make paper fasten together without using bulky binders, cumbersome paper clips or staples. Through trial and error he invented the Substrate sheets with removable strip and received a patent for the invention in May of 2006. This revolutionary product binds papers together through a simple step process. Stack the self-binding paper, pull the strip and the papers are securely fastened. Abron continues to head his company Eli’s Papers in Shreveport, Lousiana. 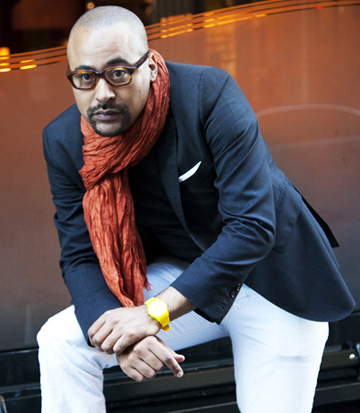 Earl Bell, is known as an inventor, building designer, and architectural theorist, as well as Hip hop architect. Brooklyn born and raised, Bell’s passion for science and design began at a very young age. He presented his first invention at the age of 9. But Bell first began to document and patent his inventions while attending Pratt Institute’s Architecture Program in 1998. Earl holds 3 US patents and 1 International Patent (South Africa). He is the sole inventor of Sasu Technology: liquid hydraulic electrical display for showing information, Slide Skin Technology: ergonomic chair system, Qet Ambit Technology: internal electrical mechanical mechanism for Quantification and has others that are being reviewed by the United States Patent and Trademark Office.